No. 10 — MATT WOODS – WITH LOVE FROM BRUSHY MOUNTAIN: Woods is a really good songwriter, an underrated art in country music today. That’s really what makes this record stand out for me. It’s about the songs and stories. No. 9 — HELLBOUND GLORY – LV: This EP is possibly the last release from Hellbound Glory as frontman Leroy Virgil has now struck out under his legal name — Leon Virgil Bowers. This was more of a solo album for him, anyway. It features some of Virgil/Bowers’ best songwriting, but is lacking some of the fun and rowdiness of the earlier Hellbound Glory albums. No. 8 — RED EYE GRAVY – DUST BOWL HANGOVER: A little bit of cowpunk, a little bit of traditional country, a little bit of rock ‘n’ roll, a little bit of humor and a whole lot of fun. Their joyful and rocking take on “Ain’t No Grave” is probably one of my most-played songs of the year. No. 7 — JACKSON TAYLOR AND THE SINNERS – LIVE AT BILLY BOB'S: While this Best of 2014 entry is not quite as much fun as actually seeing Jackson Taylor live, this CD/DVD gives you a taste of what that show is like. It’s a top-notch performance, and we finally get a recorded version of his “He Stopped Loving Her Today”/”Purple Rain” mashup. No. 6 — WHITEY MORGAN – GRANDPA’S GUITAR: The title track from this collection, one of only two original songs on the record, really made an impact on me in a personal way. It’s a fantastic, emotional song, and the rest of the album, a collection of acoustic covers from the likes of Waylon Jennings, Merle Haggard, George Jones, Bruce Springsteen and the Rolling Stones is a lot of fun, too. No. 5 — SCOTT H. BIRAM – NOTHIN’ BUT BLOOD: “The Dirty Old One Man Band” mixes the sacred and profane on this Best of 2014 release. Dirty ditties sit side by side with heartfelt spiritual pieces in an uncomfortable truce that illustrates dichotomous personality of Biram and many another hell-raising Southern boy. No. 4 — MAT D AND THE PROFANE SAINTS – HOLYOKE: There are some fantastic stories told in this collection of songs from Mat DeRiso and Company, and DeRiso delives them with a powerful, distinctive voice. Holyoke is easily one of my favorite unexpected discoveries of the past year. No. 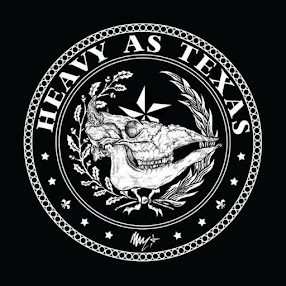 3 — WHISKEY MYERS – EARLY MORNING SHAKES: Whiskey Myers might be the best pure Southern rock outfit going right now. This Best of 2014 record is loaded with grooves, hooks and great songs, but amid the hell-raising rockers you’ll discover some poignant softer songs as well. No. 2 — STURGILL SIMPSON – METAMODERN SOUNDS IN COUNTRY MUSIC: Simpson’s stock is certainly on the rise right now, and there is no more deserving artist out there. He may be the most genuine voice in country music at the moment. Though he does experiment with some Southern rock and stranger sounds in places on this record, his music and voice is firmly rooted in tradition, but not old-fashioned sounding. No. 1 — BOB WAYNE – BACK TO THE CAMPER: I’ve long sung the praises of Bob Wayne, but this, his return to the indie scene after experimenting with a label deal, surprised even me. Back to the Camper is easily the most mature and well written record in Wayne’s catalog. He’s still wild and rowdy, but he’s growing up on this Best of 2014 project, and the results of that maturation are some of the best songs of his career. Review: Whitey Morgan, "Grandpa's Guitar"